The Delhi Half Marathon this year has raised a record ₹16.6 crore for charities, a 105% jump over the amount raised during the event last year. 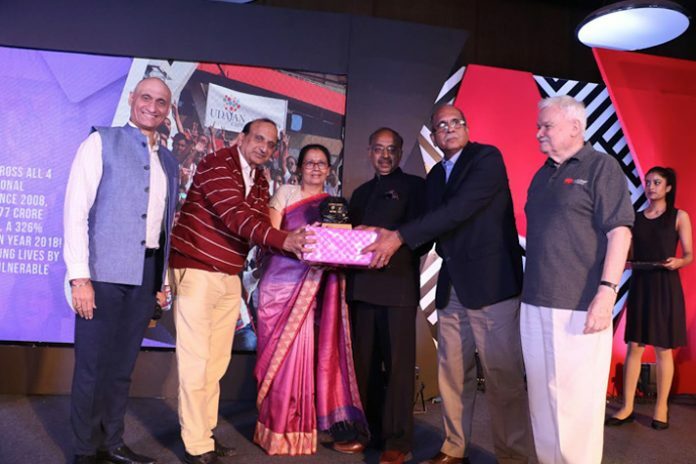 India Cares, the philanthropy partner to the event with the perseverance of 91 Civil Society Organisations (CSOs) shattered all records in their benevolent efforts. The citizens of Delhi showcased in abundance their “heart of gold” and that impossible is nothing! Since inception, Airtel Delhi Half Marathon has now raised a total of Rs 67.16 crore towards charity. The funds raised by the CSOs will focus on creating a positive impact for different sections of our society – children in homes and schools, youth skill development, environment protection and saving animals, special care for differently abled and health services. A total of 66 companies fielded 91 corporate cares teams and 195 individuals reached out and received contributions from 8,010 family members, friends and colleagues. Incidentally, many CSOs got the confidence to reach out to networks and individuals on their own and this has generated 61% of the total funds! 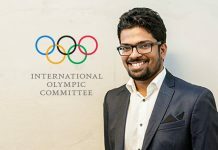 The remarkable feat by the top fundraising CSO Udayan Care, which generated ₹9.02 crore, has set a records in crowd funding, not just for ADHM, but for marathons across the world. This amount would be in the top-5 Charities of Boston Marathon in 2018 and it is also more than all the other 90 CSOs of this edition! Murray Culshaw, Chairperson and Founder, India Cares Foundation, states “Delhi amazes us. When we think there is no more room to push, it stretches! Our emphasis on encouraging individuals to raise funds is now well established, with 82% of contributions this year coming from individuals and raised by individuals. The impact of ADHM truly resonates beyond the race day. The support for numerous causes has doubled in the last 5 years through the event. Since 2014 the funds generated through ADHM have doubled and an average of 75,000 people have been aided every year – a 1:2 ratio for every runner in ADHM! The funds raised in 2017, have contributed towards the construction of 12 new classrooms, 10 current classrooms furnished, 350 women empowered to start earning, 1160 women empowered with self-defense training, an old age home for women constructed and 68 young adults trained in IIT and placed in companies. Care Champions Diamond (taking on a target of ₹5 lakh for their cause) Highest Fundraiser of this edition and Care Champion Diamond, Dr Nandita Chakraborty raised ₹5,78,550/- in support of Lotus Petal Foundation. Care Champions Silver (taking on a target of Rs 1 lakh for their cause). Top fundraiser: Dr Geetanjali Chopra raised ₹10,02,625/- in support of Wishes and Blessings. Youngest Care Champion: 15-year-old Kris Nagdev raised ₹1,96,010/- in support of Concern India Foundation. Youth Cares (Teams of 3 students aiming to raise INR 75,000 for their chosen CSO.). Highest Fundraising Team: Md. Aftab Alam, Rinku Kumari & Kishan Lal raised INR 31,43,980/- in support of Lotus Petal Foundation. Corporate Cares (Companies that contribute to chosen CSOs and also encourage their employees in contributing to and fundraising for a cause). Highest Corporate Contribution: Hero MotoCorp Ltd –₹29,00,000. Highest fundraising individual from a corporate cares team: Ravindra Singh from Kotak Mahindra Bank raised ₹1,00,000. Highest Individual iCare Fundraiser: Ranjana Mahajan raised for Sukarya ₹ 5,17,200. 2nd Highest Individual iCare Fundraiser: Anil Chawla raised for Save the Children India ₹5,04,100. Highest fundraising organisation: Udayan Care ₹9,02,35,153. 2nd Highest fundraising organisation: Lotus Petal Foundation ₹1,78, 83, 610. 3rd Highest fundraising organisation: Bharti Foundation INR 1,22,55,600.